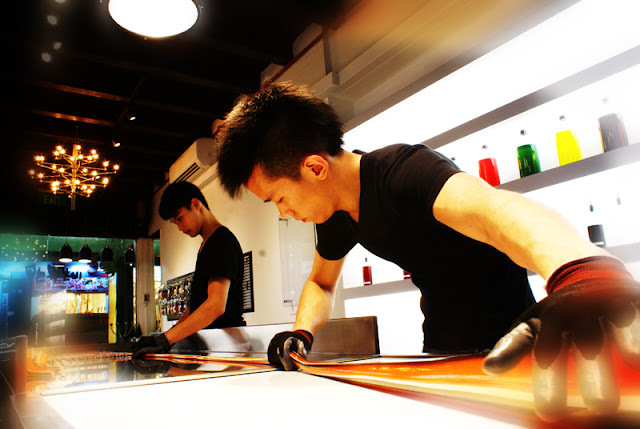 At Made in Candy (M.I.C. 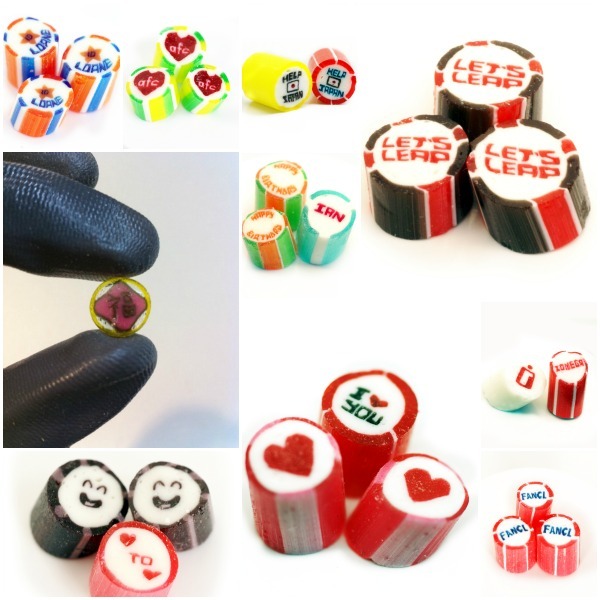 ), Candy Artisans sculpt contemporary handmade candies using methods to craft pictures and messages at the center of each candy. 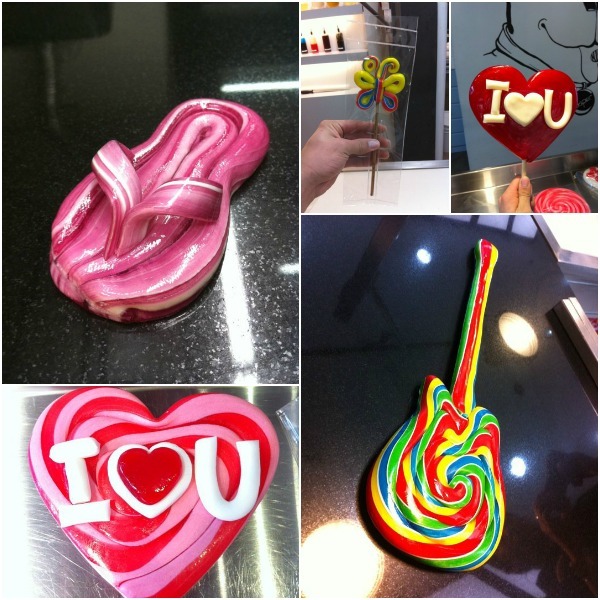 Candymaking is performed live to the upbeat music of the latest rock and pop artists in front of eager customers waiting to try a warm and freshly made piece. Friendly CandyMen continually engage customers while the hot sugar forms and is open for everyone to see, smell, and experience. Here, Candy is more than just a sweet delicacy; it’s a symbolic tribute- as well as a perfect gift to bring meaning to someone. A meaning that would actually sweeten any tooth, mouth, and heart. 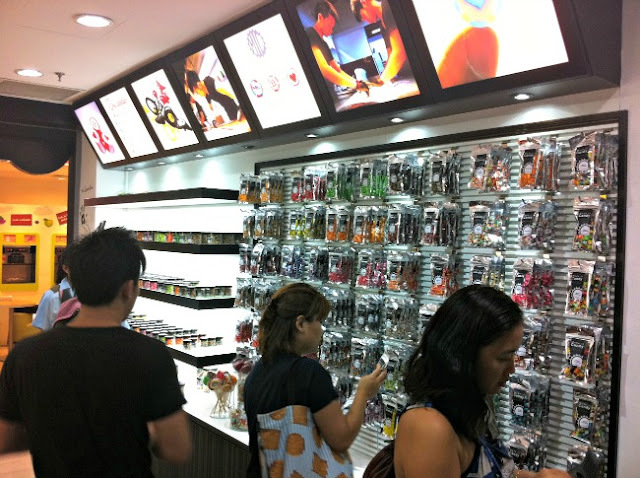 A range of over forty different designs and flavors of bite-size rocks spread across their retail range. Bouquets of beautiful lollipops small to giant in size sit in vases that will put a smile on both the young and old alike. M.I.C. uses the best quality sugar and specially imported raw materials to ensure our products maintain its strict quality. 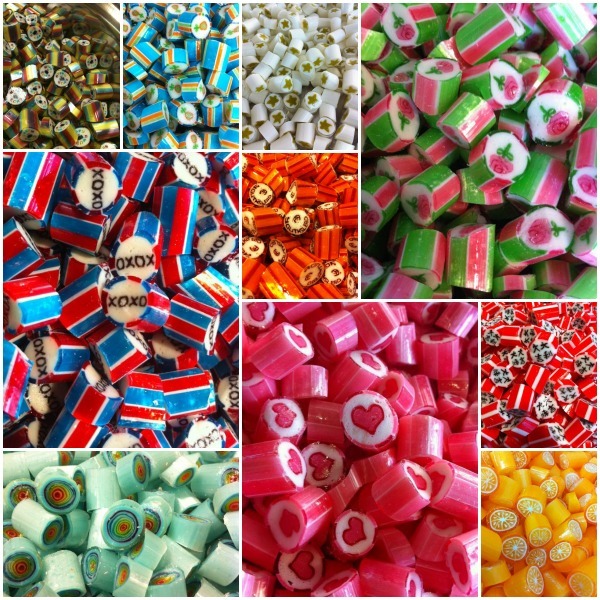 Natural flavors from Europe are flown for formulation in professional laboratories in Singapore that bring out the best taste in every candy we make. The shop maintains its chic, predominantly black fixtures, with subtle tones of white and yellow to let the colors of the products stand out. You feel as you enter the shop, M.I.C. 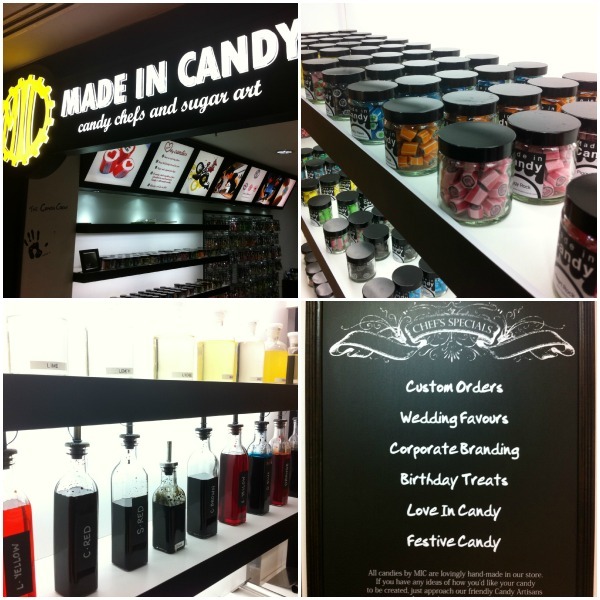 is not your ordinary candy store. With two stores in Singapore, three in Bangkok, M.I.C. now ventures into the Philippines at Rockwell’s Powerplant Mall. Located at one of the connecting bridgeways on the second level, come see Candy Artisans create the most delectable, exciting, and beautiful handmade rock candies ever to come to Philippine shores. Their first flagship store in the Philippines will open before the end of the year and will definitely be an exciting addition to the confectionery retail scene in Manila. So “ROCK” with them in Rockwell from October until December this year and be one of the first to see and taste candy like never before. really itching to try this!